Socks won't stay up? You're not alone. Socks are a very popular item to knit but recurrent discussions on Internet knitting forums show falling-down socks are a problem to many. There are many, many ways to solve this problem, but one of the most direct is elastic. Here are four different methods. TECHknitting blog has already shown how to make knitted hems, both sewn shut and knitted shut. If you create one of these hems at the top of a sock, you can insert an elastic garter into the hem, thus turning the hem into a "casing" ("casing" = a fancy word for a hem which is encasing something: a hem with something inside of it). Make the garter out of non-roll elastic because if it gets twisted inside the casing, you'll have a hard time straightening it. I use 3/4 inch wide non-roll, but some prefer one-inch wide. There are various weights and strengths of non-roll elastics--try to feel of them before you buy because some are quite thick and stiff. 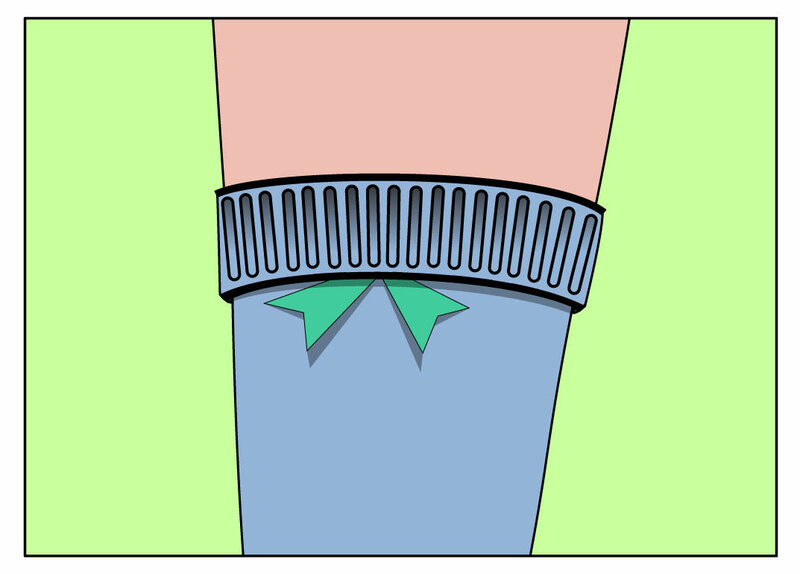 Make up the garter by cutting the elastic longer than you think, then pin or tack it down (tack = sew quickly with a couple of big stitches) into a circle of approximately the same diameter as your leg, sock-top-high. Leave some overlap so you can adjust as needed. WEAR the pinned/tacked garter around the house for a while, trying it on both legs before you sew it down permanently. 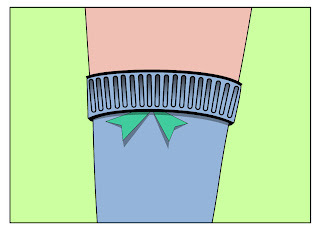 Elastic garters need not be very tight to do their work--your underwear elastic doesn't bite into your flesh and neither does the elastic on store-bought socks, yet they both work. By wearing the garter around for a while, you can adjust it until it is as loose as possible while still doing its job. Also, remember--it will be slightly tighter inside the casing than around your bare leg, since it has to stretch slightly further. You can insert the garter into its casing at the sock top either by sewing the casing shut over the elastic as the last step in finishing the sock, or--for a top-down sock--knitting the casing shut as-you-go with the garter trapped inside. Elastic can loose its oomph long before a handknit sock wears out, so if you do sew the casing shut, use a contrasting color yarn--that'll make it easy to snip and resew a new garter in. An elastic garter sewn into a casing often makes the sock top stand out because the unstretched garter is larger than the unstretched sock top, but when you put the sock on, all will be well. 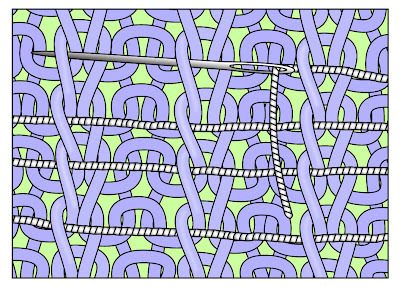 Another method to make your socks stay up is to use thread elastic, threading this onto a needle and working this around and around the inside of the sock ribbing in a spiral. 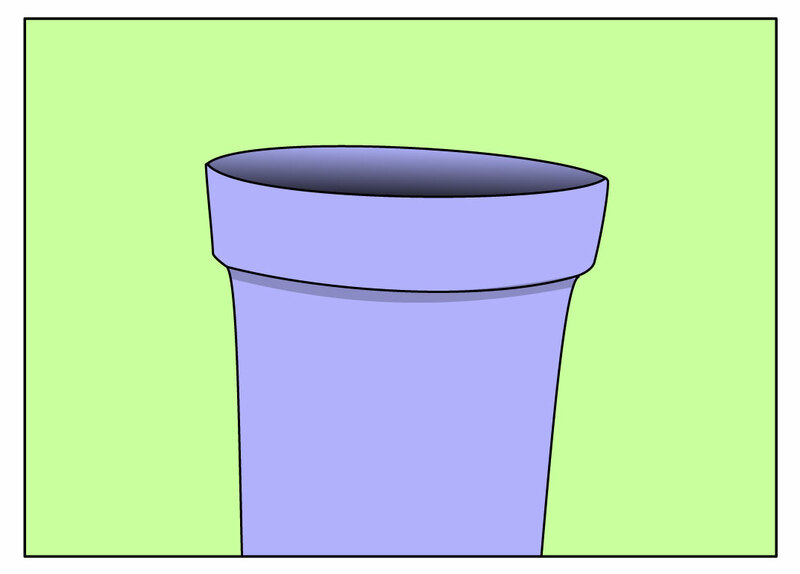 The easiest way I know is to catch the elastic under ONE arm of a knit column on the inside. This is a (receding) purl column on the front of the sock, which helps hide the elastic. Don't over-tension the elastic as you sew it in. 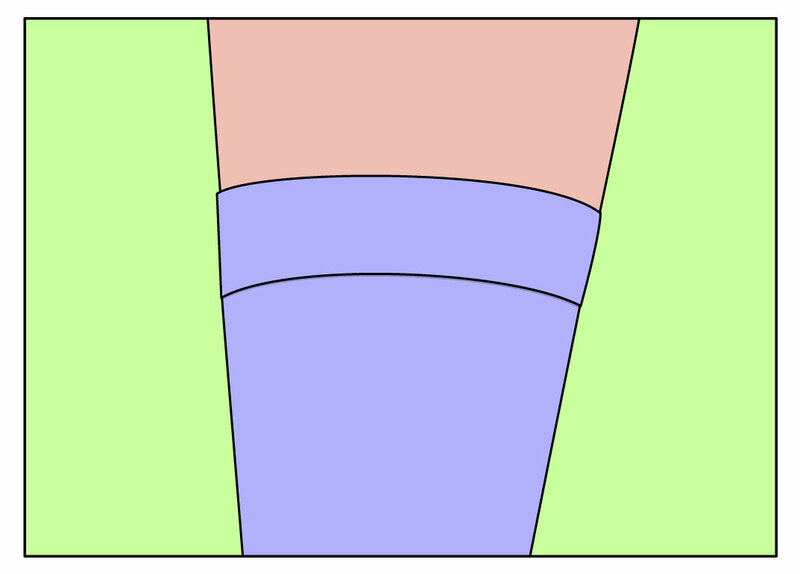 In fact, don't tension it much, if at all--the inside of a sock is a lot smaller than the outside of your leg, so an elastic worked into a sock top must have enough slack to stretch as the sock does. Working thread elastic into sock ribbing is an good solution for already-made socks. The only drawback to thread elastic is that it doesn't last very long--a few years at most, whereas a hand-knit sock might last many times that. However, it is no great chore to snip out the old elastic and insert new. The trouble with knitting in elastic is knowing how strongly to tension it as you knit. Start by tensioning as little as possible, rather than trying to stretch it as you knit, then tighten up from there if that's unsatisfactory. I haven't used the knitting elastic product very extensively and so don't know how long it is likely to last. If you have more experience, maybe sing out in the comments? I will say that the stuff has amazing stretch and feels very sturdy, at least when it is new. It also washes up OK, but I haven't yet tried it in a dryer. My maternal grandparents (born 1896 and 1902, respectively) wore ordinary business attire, not ethnic costume, but they did keep their socks up with elastic sock garters every day of their lives--grandpa used the men's version, grandma used an elastic garter at the top of each thigh-high nylon. Retro-style garters like this are still for sale on-line, and the men's version has always remained part of a formal-wear outfit. 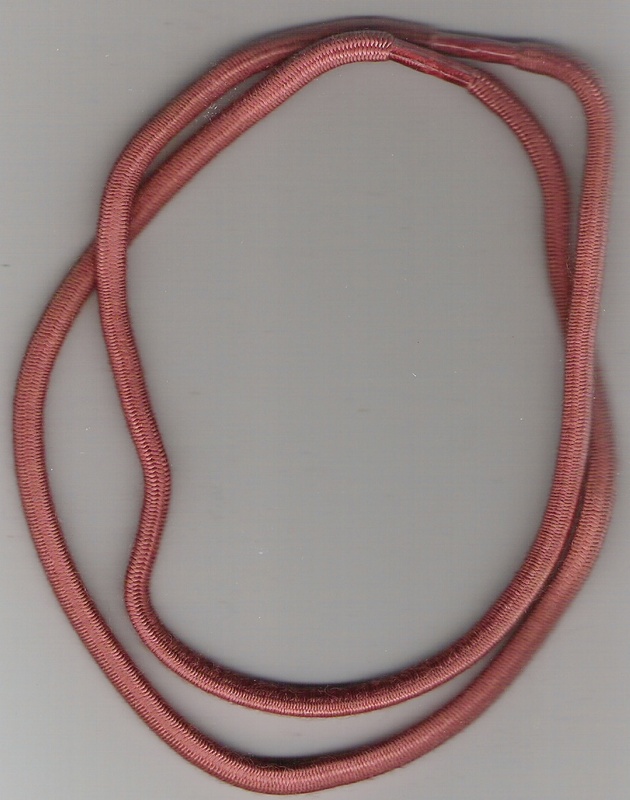 The cheapest modern equivalent to outside garters are rubber bands. Snap one around each sock top, flip the ribbing down, and you've got a garter. For a better-fitting version, you can make custom elastic garters, as in the first part of this post. However, because these are now meant to be worn outside the sock, under the flip of the ribbing, use narrower elastic. There is no need to use non-roll elastic either, since you can easily reach the elastic to straighten it. One pair of custom garters will work for all socks of the same length--a time saver over knitting a pair of garters into each pair of socks: easier and less clunky, too. If you do opt to make elastic garters, you can gussie these up by sewing a ribbon onto the garter, arranged such that the ribbon peeks out from under the folded-down sock top. 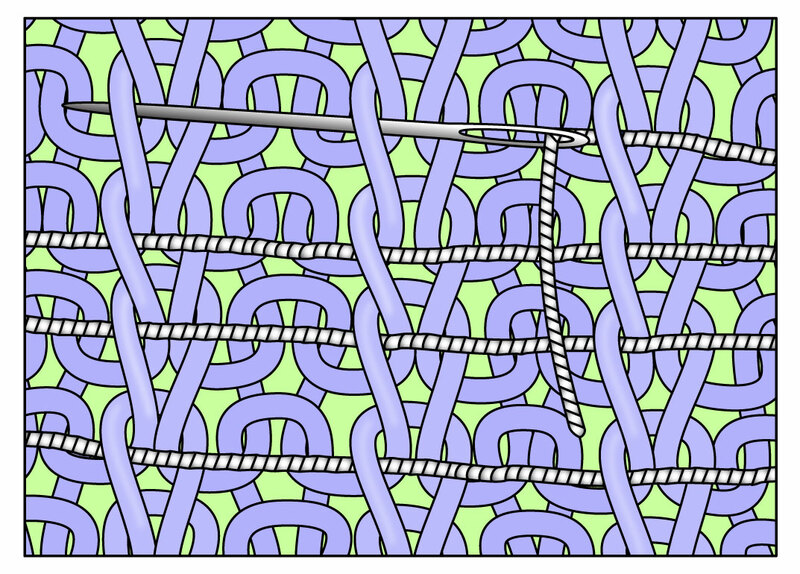 This trick makes it look as if the ribbon itself is holding up the sock, while the elastic remains hidden. These little ribbon ends are called "garter flashes" and they can also be made out of woolen fabric--particularly for wear with kilt hose. ADDENDUM September 2014: Too-loose ribbing can be recalled to sense of duty by smocking, which adds a surprising springiness. Although is not traditional to smock sock ribbng, it can be done, and would perhaps look particularly well on a cabled or texture-knit sock with a deep top 1/1 or 1/3 ribbing. Here is a post on invisible after-thought smocking of the type which could be applied in such a situation. ADDENDUM 2: November 2015: IF YOU HAVE ANY CIRCULATION ISSUES (or even if you don't) remember to experimentally wear external garter bands at home before heading out, just as you would with an internal elastic garter you were planning to knit into a sock. Why the capital letters? A lady just wrote to me saying that she tried rubber bands and they held her socks up, alright; didn't hurt, even. Yet, she wound up suffering from varicose veins as a result of the interference with her circulation. Now you know--try this at home first to check the effect. Better to let your socks fall down than suffer like this. You have been reading TECHknitting blog on what to do if your socks fall down.